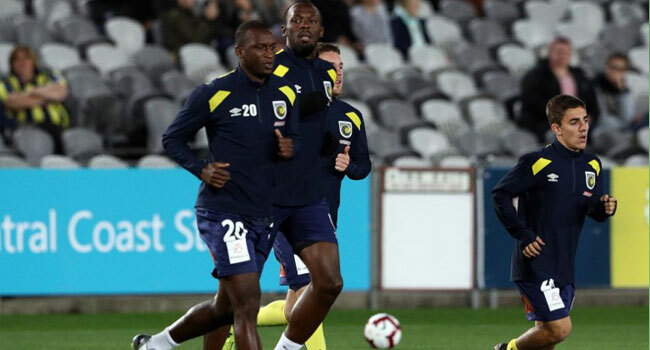 Sprint legend Usain Bolt’s football training has been put on hold after he flew out of Australia for a “previously planned commitment”, his A-League club has said. The Jamaican superstar is pursuing his long-held dream of playing professional football and arrived in Gosford, 75 kilometers (47 miles) north of Sydney, last month for training with the Central Coast Mariners. “Usain Bolt will be abroad from Sunday, 9 September to Sunday, 16 September for a previously planned commitment,” the Mariners said on Saturday. The team did not say where Bolt was travelling to, but Sydney’s Daily Telegraph reported that he was going to France for an event. Bolt’s arrival has generated excitement on the Central Coast, with some 10,000 people packing the local stadium for his football debut. The world’s fastest man has struggled with his fitness since arriving but said last month that he hoped to be ready to go by the start of the A-League season in mid-October.